A certified dealer for three industry leaders, A & W Compressor has many makes and models of new air compressors for sale. Whether you’re looking for a total industrial compressor system including piping for your factory, or you just need a single, 5hp compressor for your auto shop, we have what you need at a price you can afford. From our three locations in Johnson City, Maynardville, and Madison, we serve the fine state of Tennessee from Kingsport to Maryville, Athens, Cookville, and beyond. Champion Compressors: Since 1919, Champion has been producing reliable, well-built air compressors for customers across the country and the world. A & W Compressor is proud to offer these new air compressors to our valued customers in Tennessee. Designed and constructed to exacting standards, Champion compressors are backed by 85 years of experience in the industry. Made to adapt perfectly to any environment, these new air compressors for sale from A & W Compressor can more than handle the dust, heat, and humidity of Tennessee. Choose from their reciprocating, industrial, oil-free, portable, vertical compressors, and more. Crafted to be exceptionally resilient and dependable, your new Champion air compressor from A & W Compressor is sure to last many years with peak performance in any environment. Saylor-Beall Compressors: With nearly a century of experience, Saylor-Beall has been leading the industry for a lifetime. Choose from base-mounted, tank mounted, duplex and more new air compressors for sale from A & W Compressor. Offering both gasoline and electric configurations, Saylor-Beall has a new air compressor for any need; and, with A & W Compressor, you can get it with great service and at an affordable price. We also sell used and refurbished Kaeser Compressors. As their byline says, Kaeser provides “Quality compressed air for virtually every application.” A & W Compressor is proud to offer these well-built, reliable, and durable air compressors to our clients. 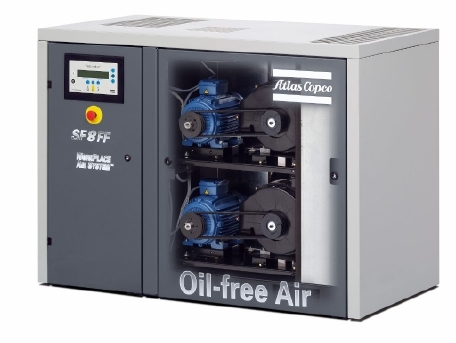 We’re confident that you’ll enjoy the benefits of their exceptionally efficient and environmentally-friendly rotary screw compressors, reciprocating compressors, portable air compressors, and more. Call or e-mail A & W Compressor today to find out more about our selection of new air compressors for sale from Mountain City to the Tennessee River west of Nashville.